Sturmgeschutz III was originally designed as an assault weapon, but as war progressed it was increasingly used in a defensive role and evolved into an assault gun and tank destroyer. By 1943 its main role was providing anti-tank support to the units in its area of operation. This consequently led to many StuGs being destroyed in battle. 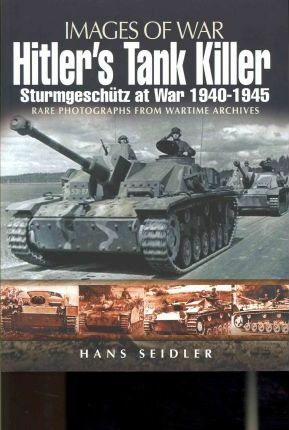 Nonetheless they were very successful as tank killers and destroyed, among others, many bunkers, pillboxes and other defenses.While not considered to be a true tank because it lacked a turret, the gun was mounded directly in the hull, with a low profile to reduce vehicle heights, and had a limited lateral traverse of a few degrees in either direction. Thus, the entire vehicle had to be turned in order to acquire targets. Omitting the turret made production much simpler and less costly, enabling greater numbers to be built. Most assault guns were mounted on the chassis of a Panzer III or Panzer IV, with the resultant model being called either a StuG III or StuG IV respectively. The StuG was one of the most effective tracked vehicles of World War II, and over 10,000 of them were eventually produced."